An Muid an Triúr is gealaí sa tír? Táimid ag glacadh páirte i #Dúshlán. 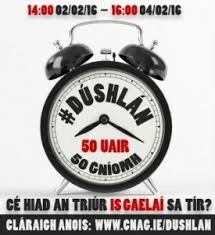 Tá an comórtas seo ar siúl thar caoga uair an chloig, ón a dó a chlog Dé Máirt 2 Feabhra go dtí a ceathair a chlog Déardaoin 4 Feabhra. Beidh an comórtas bunaithe ar phóintí a fháil, tá caoga gníomh le déanamh, agus táimid ag obair go dian orthu faoi láthair! Is gá dúinn fianaise (grianghraif/fiseáin nó screenshot) a phóstáil ar Twitter go leanúnach thar an gcaoga uair an chloig. Tar ar ais anseo chun a fháil amach conas mar ar éirigh linn, agus bí ag faire amach dúinn ag rith timpeall na háite ag iarraidh gach rud a chríochnú! The annual Mince Pie and Mulled Wine Night for parents of our First Year students took place on Wednesday 16th December. The purpose of the evening is to introduce the parents to the school in a relaxed and enjoyable atmosphere. 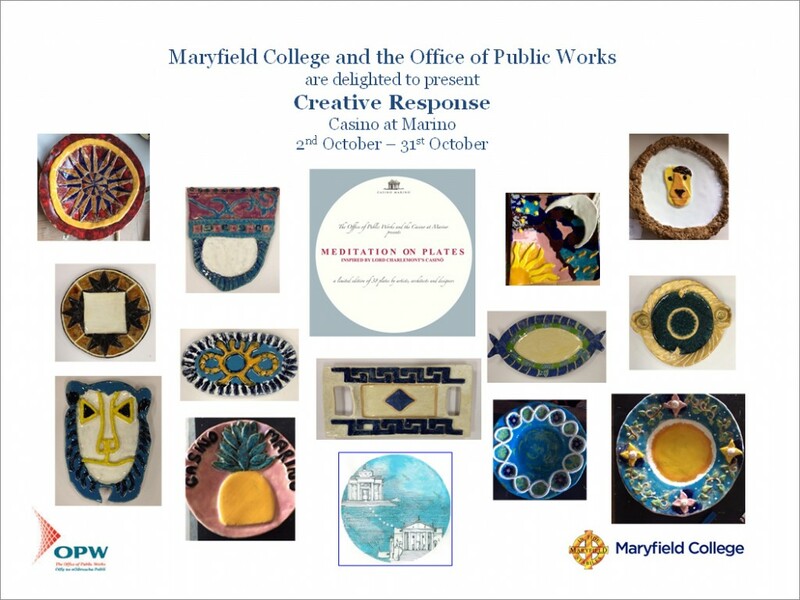 This event is a collaborative venture between the Maryfield Music Department and the Parents’ Association. The evening began with a short concert highlighting the musical talent of our students. Of course our First Years took centre stage with performances from the First Year choir and soloists. Maryfield has always had a strong tradition of traditional Irish music and this year is no exception. The audience was treated to a selection of dance music and slow airs followed by the catchy Shipping Up to Boston. The School Choir closed the concert with a programme of Christmas favourites. The evening concluded with refreshments provided by the Parents’ Association in the dining room. Parents, students and staff enjoyed the festive fare and mingled in the warm friendly atmosphere. New parents are always welcome to attend the Parents’ Association meetings which take place on the first Tuesday of every month at 7.30pm in the school. Congratulations to Maryfield’s basketball players. Our Under 19b and Under 16a teams both competed successfully in their finals on Thursday 28 January, becoming the 2016 Dublin Basketball Champions. Pictured in blue is the victorious u19b basketball team and the team pictured in black is the victorious u16a team. On Friday 4th December in The National Library of Ireland ‘finalist Roisin Ferguson a first year at Maryfield College was awarded 2nd prize in the Junior Category of The Poetry Aloud Competition. Roisin captivated her audience with her beautiful , unique interpretation and articulation of two poems “The Rose Tree” by William Butler Yeats and “ Back in the playground blues” by Adrian Mitchell. Her recitals from memory were flawless both in the regional heats and the final competition . 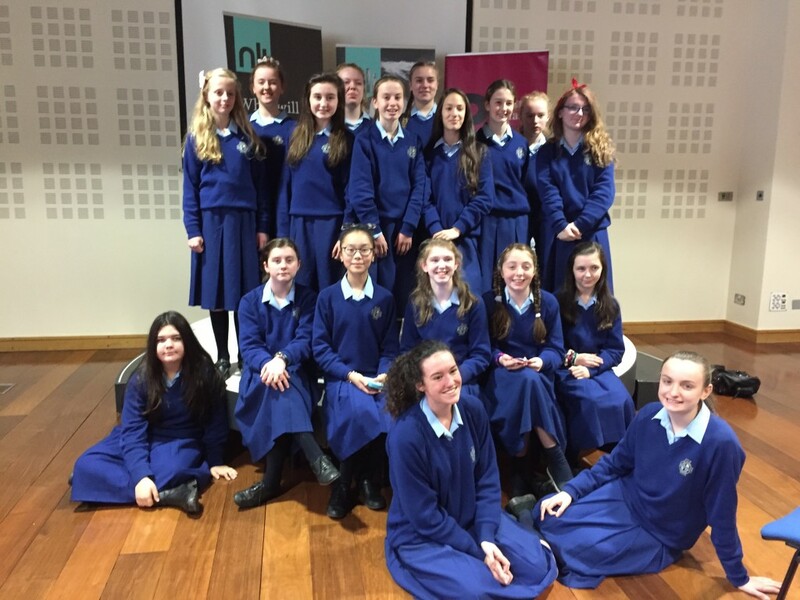 Poetry Aloud celebrates Yeats 150th Anniversary and registered 1805 students the highest ever entry received. Thirty six students represented schools in the final from Antrim, Armagh, Carlow, Cork, Donegal,Down, Dublin, Galway, Kerry, Kilkenny,Laois, Monaghan,Sligo , Tipperary,Waterford and Wicklow. 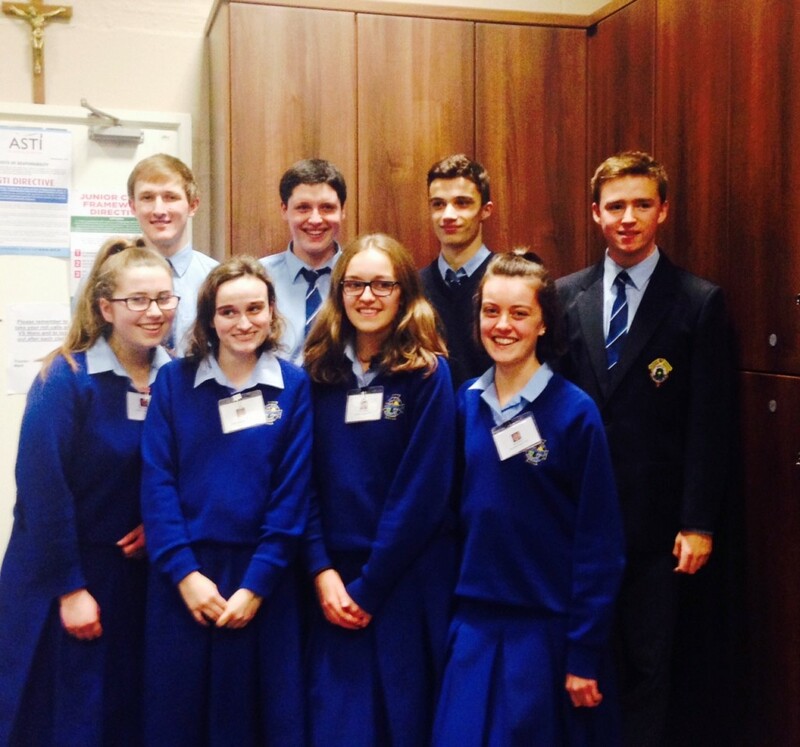 Orla Reardon, Eimear Kelly, Fiona Monks and Maria Lee from the Maryfield Concern Debate Team are pictured here alongside the team from Ardscoil Rís. The team under the leadership of Ms. S. Mellon debated the motion “The COP21 climate agreements will succeed where others have failed” and the standard of debating was so high that the adjudicators from Concern International decided it was a draw, awarding both teams points. The next debate will take place in early January. 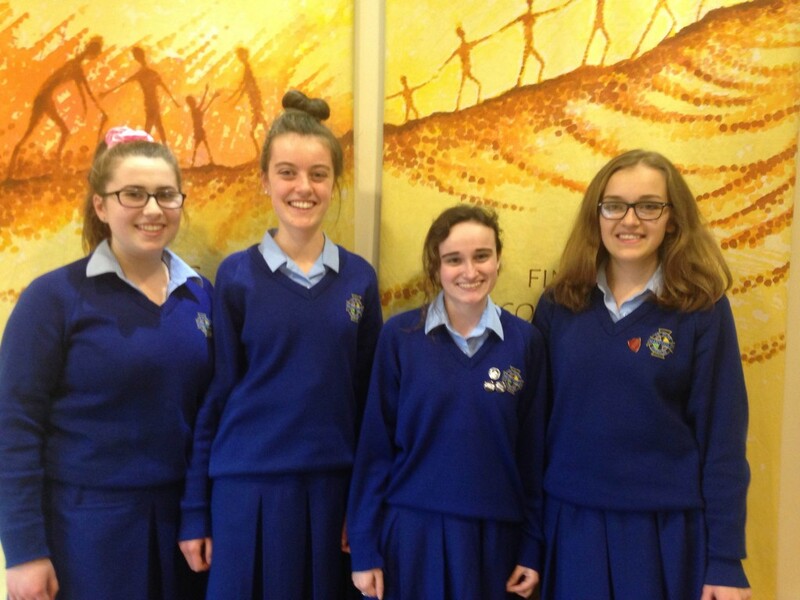 Senior students Maria Lee, Fiona Monks, Eimear Kelly and Orla Reardon enjoyed a training day for Concern debates-a nationwide debating competition on global issues. The first debate will take place on Maryfield on November 11th.